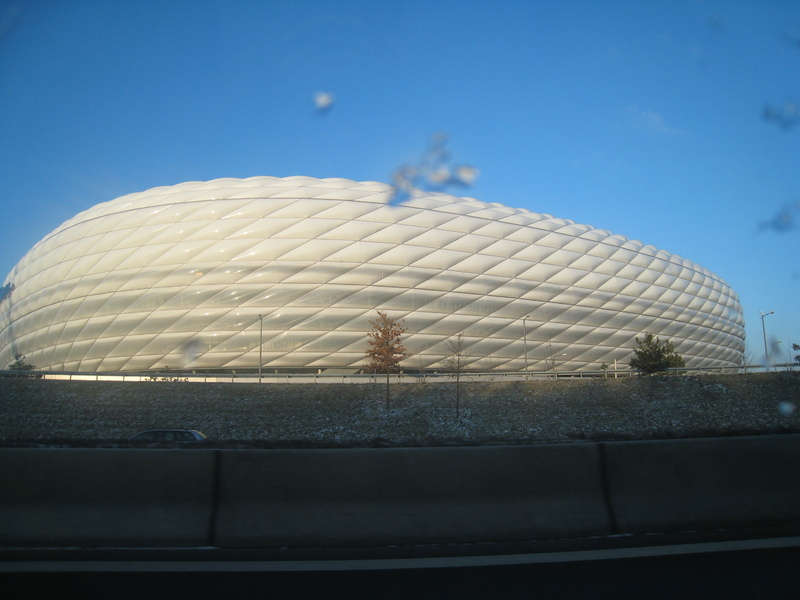 This morning we left Munich and traveled on the autobahn. This is my first time actually driving myself on the autobahn. It was fun and it is true, there is no speed limit for most of the drive. 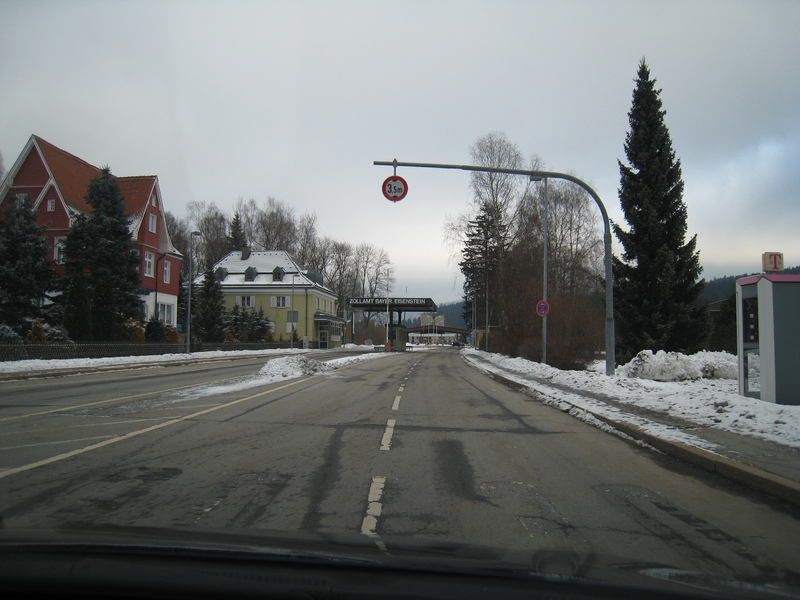 At one point I was driving 170kmh (105mph) and other cars were still passing me at much higher speeds. We took secondary roads through the mountains to the Czech border and stopped in at the little town of Zwiesel for coffee and cake. 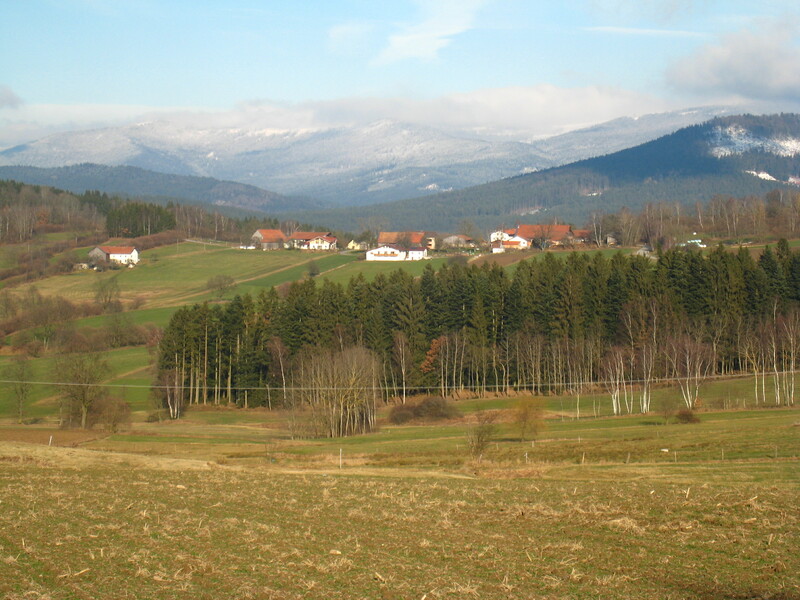 The German towns in the mountains close to the border reminded us of the Trapp Lodge in Stowe, VT. We crossed into Czech Republic at the Czech town of Železná Ruda. 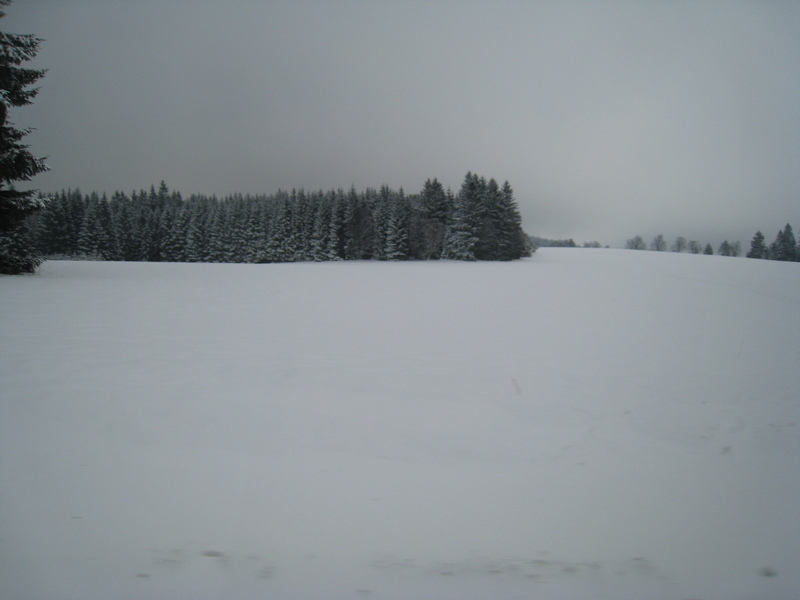 This is in the Bohemian forest. 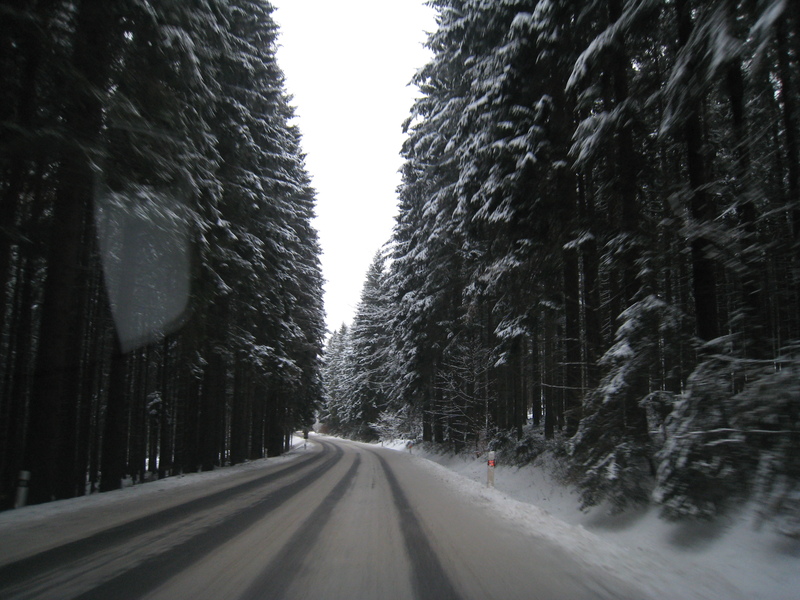 The Bohemian forest was a very dense forest made up of very tall pine trees and mountains. It was very snowy in the forest and we did not want to leave! 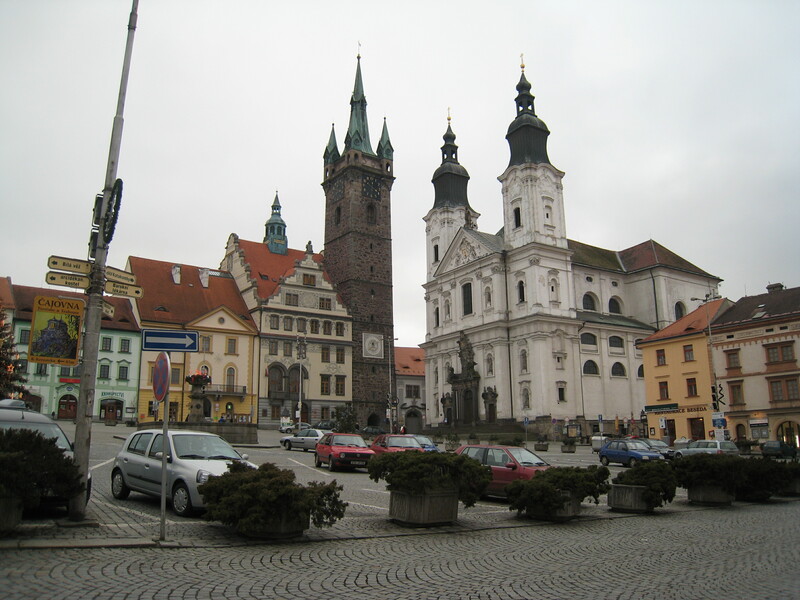 We traveled through Czech to the town of Plzeň. Plzeň is a larger Czech town known for the beer Pilsner Urquell which is brewed there, amongst other popular Czech brews. 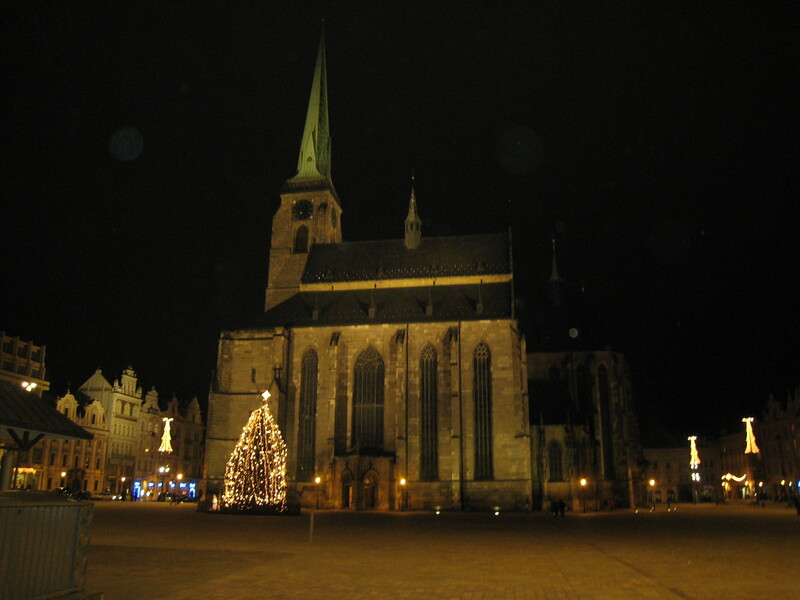 We walked around Pilzn's old town center where we visited the huge Gothic church St. Bartholomew that dates back to the 14th century and the old town hall that was build in 1558. A notable trend in Czech Republic is pizza. Every town has a quality pizza pub. We ate pizza in Plzeň (a sure vegetarian meal) and my pizza had peas on it, surely a first. Beer is cheap! $1.20 for .5 liter mug which makes it difficult to not drink a lot but the 0.0 alcohol limit while driving definitely puts a halt on binge desires considering violations usually come with jail time up-to 1 year. Tonight we will crash in Plzeň and tomorrow we head north to Litoměřice which is 1km north of Terezín, an old Nazi concentration camp. On the way we will stop in at Loket which has a lot of rumor / mystery about its location and castle.